Jake Bailey watched as the feral creatures emerged from the carcass of a 1978 Ford Granada, from the piles of fiberglass insulation beneath the skeleton of a trailer that had been immolated by fire. The cats were skittish around people, yet they came to his neighbor’s yard each evening. At seven o’clock sharp, Frank would play his harmonica and put out cans of food, and the cats would gather and rub up against his legs. The two would talk to each other, while Jake sat in a lawn chair on the roof of his trailer house. Jake’s mother, Krystal, found it odd that Frank talked at all, told Jake that Frank was the shyest person in Quinn, the only permanent stranger in a town of 956. Unlike Frank, his mother was well known, and as a nurse, she was useful. His mother refused to wear any makeup, despite her thin lips. Krystal had enormous green eyes and glossy brown hair that hung past her shoulder blades, content to be a natural beauty. She wore her hospital scrubs at home, and no jewelry. Jake found it frustrating to shop for his mother. Jake had been coming to the rooftop since he was seven years old, when Krystal stopped noticing what he was doing as long as he was in the yard. From the roof, Jake could see all of the trailer court and parts of the town. He was twelve now, and he no longer spied on his neighbors. After five years, he realized that they were gross. Now he came to the roof for refuge. The space belonged to him, and he furnished it with a lawn chair and a waterproof tub that held his paperbacks, a parasol, and a pile of cassette singles. He sat on the roof through most of the year, sat there for hours, even in winter, when he sat until he could no longer bear it. His perch had revealed who was having affairs with the UPS man, who was eating too much when they thought nobody was watching, who was stealing checks from mailboxes. Jake was not a private detective, but he had a private-detective outfit. He also had several piles of polyester leisure suits and a complete set of motorcycle leathers. He had found rosary beads at the thrift store, and he wore these as he listened to Madonna, even though he was not religious. He wore three necklaces at a time: glass, baby-blue stones, and wood. He knew he was supposed to say a prayer and finger every bead, but instead he named his enemies. It seemed impossible that he had fifty-nine enemies, but the football team took up thirty-two, and there were twenty-seven other bullies and assholes in town. According to Jake’s math, he disliked one-sixteenth of the town. Frank was not one of them. The cats came around despite the freezing weather. Some nights, Frank built a tiny fire in a washtub. He played his harmonica, surrounded by piles of empty cans of cat food, and the flames shone on the tins and cast the snowy yard in waves of reflected light. When Frank wasn’t playing music, he recited facts and observations to Jake: the harmonica was the Special 20, model number 560 manufactured by Hohner, plastic comb instead of wooden. Frank told Jake that feral cats woke at four in the afternoon, that their hunting parties went out at six, and then they went back to sleep after he fed them. The cats woke again at three in the morning, foraged for the next three hours, slept all day. Jake thought that they were much like Bert, Krystal’s boyfriend. Bert was a human barnacle that had attached itself to Jake and Krystal’s trailer house in 1989. He courted them with shopping trips to Spokane, boxes of garage sale books, a new furnace for the trailer. He promised to be a father figure. As soon as Bert moved in, he never moved again, leaving the couch only to go to the bar. He was surly and possessive, drunk and useless, and worst of all, fertile. Krystal was pregnant within a month. Before Bert came, Frank had built a small storage shed for Jake, shoved up against the siding, between the back door and Jake’s bedroom window. Frank knew that Jake’s thrift store purchases were piled to the ceiling in his bedroom, each article of clothing perfectly folded but sandwiched so tightly that Jake was constantly ironing. Frank worked silently, building the shed out of cedar, so Jake’s clothes would smell less like old people and more like expensive people. He added a gambrel roof, sturdy enough to support Jake’s weight. Now Jake could climb out of his bedroom window and use the roof of the storage shed to push himself up to the flat metal panels on the top of the trailer house. After Bert moved in, Frank built a privacy fence around his entire property in the summer of 1990. Bert had started trapping Frank’s feral cats in the alley, collecting them in metal cages. He drove to the boating launch and threw the cages in the shallows of the river. Bert described this process in detail but was secretive about what he did with the bodies. Frank’s fence was six feet high, enough to shield Frank from the sight of Bert drinking in the yard, the sight of Bert entirely. Jake’s best friend, Misty, lived with her mother on the left side of Frank’s new fence. They had grown up together in the trailer court, walking endlessly around the unpaved loop of twenty-six houses and a Laundromat, throwing rocks at swallows’ nests. Misty blasted heavy metal at all hours. Bert caused just as much commotion. When he had no one to fight with, Bert fought with himself, and loudly. Bert was the kind of drunk who fell on and off the wagon so many times that he called everybody at the bar by their last names and everybody at AA meetings by their first. Frank was surrounded by this chaos but never called the cops. He was meek, a slight man with a thick dark beard. When he wasn’t feeding the cats, he watched the mountains with binoculars. He told Jake that he used to spend his summers in the fire lookouts and that these habits were hard to break. He looked for fire, even in the winter. Frank wore only bright yellow work shirts and dark green pants, and he told Jake that he had retired early from the Forest Service but never explained why. The week before Christmas, Jake combed through the thrift shop, found several suits that looked like they would fit. Frank was silent when Jake brought them to his front porch, wrapped carefully, freshly cleaned by hand. The next night, Jake took his place on the roof, careful not to trip on the wires of Christmas lights Krystal had draped over the gutters. He had finally bought the entire “Like a Prayer” album, and a different rosary for every track, upping his collection to fourteen. Plastic or pearl, he had a necklace for every song and wore them on the outside of his snowsuit. He wrapped himself in blankets; the lawn chair was covered in new snow, and he sat on a plastic bag so his pants wouldn’t get wet. Frank began his concert for the cats, but ended it early after only twenty minutes. He blew into his bare hands, which must have been frozen; Frank could not play harmonica with mittens. The cats ate greedily, and Jake watched a skinny pair fight over a can of pork and beans. Inside the trailer, Jake and Frank could hear Krystal and Bert fighting about getting cable television, and their new baby was crying. Frank walked over to the fence and threw the harmonica up to Jake, and then he turned away and went inside his house, without speaking a word. The ambulance came the next day. Krystal heard the details on the police scanner and told Jake to go to his room. He watched out his window as the volunteer firemen came in their massive vehicles, followed closely by the van of the volunteer ambulance. There were no sirens. Then the cars came to the trailer court—the onlookers. It was as if every person who lived in town had heard the dispatch on the police scanner. Jake snuck out of his window and found Misty on the street. Even in the freezing cold, Bert lay drunkenly in the yard, tangled up in a lawn chair, but the crowd paid no attention. Misty and Jake hid in the alley, behind a Dumpster that was missing a wheel, and Misty smoked a cigarette as the volunteer fire department surrounded the stretcher. Jake and Misty watched as they brought out Frank’s body. “He never told me he was sad,” said Jake. “I wonder if he used a gun,” said Misty. They watched until they were spotted by Krystal. “You shouldn’t be seeing this!” she yelled at them as they tried to cower behind the Dumpster. The winter grew thicker and darker, and Jake still thought of Frank. He kept the harmonica under his bed. Every morning, Jake shoved open the back door, kicked at the snow that had piled upon the cinder blocks of the back steps, and trudged in his slippers to the storage shed. He thought of Frank as he picked out his clothes for the day. Krystal would not speak of Frank’s death, would not declare it a suicide. Bert claimed that the cats had eaten him. For a few weeks, Jake bought cat food and stood in Frank’s backyard. The cats came, but Jake could only hum. Jake hung his glass rosary on Frank’s doorknob. The last week of January, Bert caught him and gave him a split lip for trespassing. After that, Jake watched from the roof as the cats came around for a few more days, mewling and licking at the empty cans. Eventually, they found somewhere else to go. Jake hoped they were welcomed and sere­naded, hoped they had found a new home. By the time Jake’s lip healed, there were no more cats. Bert had trapped them all, Frank was gone, and only the harmonica remained. Frank’s yard and trailer stayed untouched, the snow piling in deeper drifts around the front door. 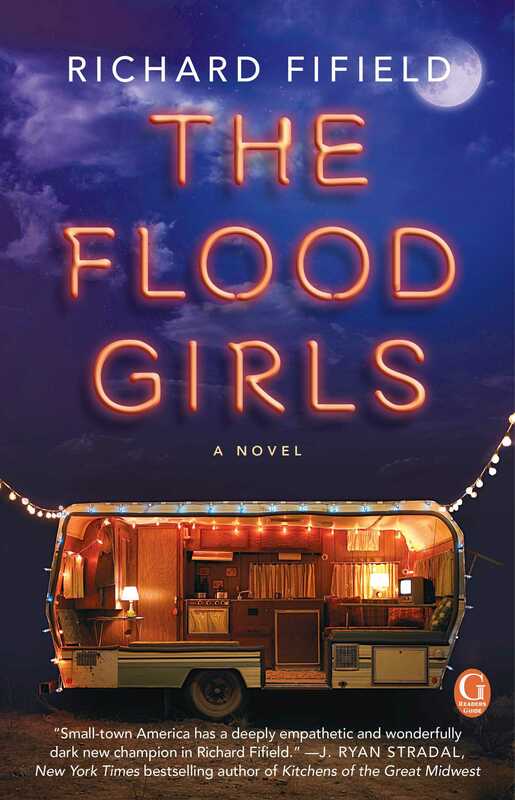 This reading group guide for The Flood Girls includes an introduction, discussion questions, ideas for enhancing your book club, and a Q&A with author Richard Fifield. The suggested questions are intended to help your reading group find new and interesting angles and topics for your discussion. We hope that these ideas will enrich your conversation and increase your enjoyment of the book. In the tiny, isolated town of Quinn, Montana, Laverna Flood owns and operates the Dirty Shame, a local watering hole patronized by day-drinking lesbian silver miners and a variety of alcoholics, and moonlights as the coach of the Flood Girls, an all-women’s softball team that has never had a winning season. When her prodigal daughter Rachel returns after a nine-year absence, newly sober and hoping to redeem herself after sleeping with most of Quinn’s male population (including her mother’s boyfriend), Laverna plans on maintaining the silent treatment—until her right fielder suddenly quits, forcing her to put Rachel on the Flood Girls’ roster. As Rachel reacquaints herself with Quinn and does her best to get past that stubborn Step 9 (it’s difficult to make amends when your entire hometown refuses to read your apology letters), she forms an unlikely friendship with Jake, a flamboyant twelve year old with exquisite taste, a vast second-hand wardrobe, and a long list of persecutors. Over the course of the Flood Girls’ first-ever winning season, Rachel finds comfort, self-acceptance, and a support system that gets her through the hardest of losses, both on and off the field. 1. Laverna is a commanding—and often feared—presence in Quinn. Discuss Fifield’s depiction of Laverna. Would you describe her as an anti-hero? How does she act as both a divisive and a unifying force? 2. Fifield uncovers Rachel’s dark past slowly over the course of the book. How did your impression of Rachel change as you discovered more about her backstory? Ultimately, did you see her as a sympathetic character, despite her transgressions? 3. Discuss Jake’s and Rachel’s unlikely friendship. How do the two find common ground? What do they learn from each other? 4. How do Rachel and Laverna evolve over the course of the book? What experiences and life lessons allow them to overcome their years-long rift? 5. Redemption and forgiveness are two major themes of The Flood Girls. Discuss the ways in which Rachel, Laverna, Bert, and Krystal attempt to make amends for their mistakes. How successful are they? 6. After recounting Quinn’s history of devastating fires, Fifield writes, “The whole town seemed to be waiting for the flames to return” (pg. 30). How does this sentiment resonate throughout the storyline? In your opinion, is The Flood Girls a hopeful novel? 7. The Flood Girls tackles serious issues like discrimination and addiction, but it is peppered with moments of surprising humor and levity. What was your favorite moment of comic relief? 8. As Rachel observes children in sleds pulled along by their dads’ four wheelers, she thinks, “This was how you survived the winter in Quinn . . . Sometimes you had to let other people pull you” (pg. 109). Discuss how the characters in The Flood Girls allow others to help them, often in unexpected ways. Did any of these moments surprise you? Why? 9. Many of the characters are guided by religion and spirituality, from Bert’s evangelism to Rachel’s higher power to Jake’s rosary beads. What, in your opinion, does The Flood Girls have to say about religion? 10. Why do you think Fifield decided to bookmark The Flood Girls with two deaths? What are the legacies that Frank and Jake leave behind? 11. The Flood Girls features an unforgettable ensemble cast, from the braless and tempestuous Red Mabel to meth-addled Black Mabel to big-hearted and big-toothed Bucky. Who was your favorite secondary character, and why? 12. In what ways does the landscape of Quinn, with its bitter snowstorms, bear invasions, and lack of street signs, traffic lights, and sidewalks, function as a character in The Flood Girls? How does the setting influence the course of events in the novel? 1. Host a Flood Girls–inspired movie night and watch A League of Their Own. 4. 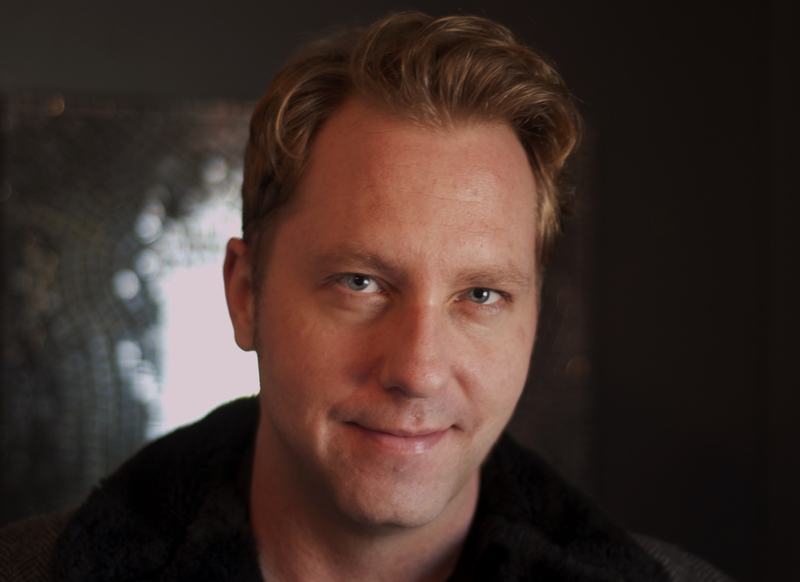 Learn more about the author by visiting his website (www.richardfifield.com), and by following him on Twitter (@richard_fifield) and Facebook (www.facebook.com/richardfifieldthefloodgirls). You indicate in the author’s note that Jake’s storyline is semiautobiographical. How are you and Jake similar? How are you different? Aside from Jake, are there any other characters in particular that you relate to? Jake and I are both from a small town in Montana. He dressed much better than I, however. I only wish I had his fashion sense! We both relied on Jackie Collins and Madonna for a taste of life outside the mountains. Like Jake, I stuck out from the crowd, and could not help it. Jake has a rough life, but I was fortunate enough to have a tremendously supportive family. There were certainly bullies growing up, but I always had a pack of girlfriends that offered love and camaraderie, and most important, protection. My real hometown is a much more nuanced place—the people of Troy are amazing. I was probably more like Misty as a child—I was definitely a handful. I relate to Rachel’s reckless faith, but also Laverna’s need for control. Which character was the most fun to write? Which was the most challenging for you? My favorite character to write was Laverna, which should come as no surprise. I thought that Rachel would be the easiest to write, as our journey has been so similar, but giving her depth was a challenge at times. Did the process of writing The Flood Girls change the way in which you view your real-life hometown? Most definitely! When I was growing up, all I could think of was getting out as quickly as possible. I hated it. Getting older, and writing this book, and practicing forgiveness have all made me realize how lucky I was. I’m from the last generation before the Internet, and I was forced to create my own entertainment. Dreaming and writing were my escapes. What was the revision process like for you, particularly given that you wrote the first draft of The Flood Girls so quickly? Editing is painful. There is no better feeling than filling pages while writing a rough draft, but editing is like math, addition, and subtraction. I hate math. Writing a book is like having a baby, but then you have to wait months to find out if your baby is cute or completely horrendous. This process has taught me so much about patience, and most important, letting go. I am so thankful that I had such great readers and editors—Jenny Bent and Alison Callahan were invaluable, and I trusted them completely. You depict many different examples of drug and alcohol abuse in The Flood Girls. What would you most like your readers to take away from your novel regarding the nature of addiction? For me, it’s really about faith. Rachel tries to push her way through recovery, and I know that doesn’t work. I have learned that I am powerless over people, places, and things. All I can control is my effort, and my reaction. Everything else is out of my hands. I’m sure that is why I am drawn to fiction—I can still control what happens, without having to make an amends! What do you think the future holds for your characters beyond the ending of the book? Will the Flood Girls improve upon their first winning season? If it were up to me, I would only write about the Flood Girls for the rest of my life! I am madly in love with every character. I want to know what happens to them! Laverna needs a trophy, dammit. Does Jake take after you in listening to music while he works? If so, what is your writing soundtrack? Absolutely. I cannot write in silence—I have an unquiet mind! I must have music, and I am a Type A Gay Virgo—each character had a playlist that I loved curating. Jake’s soundtrack had lots of Florence and the Machine, Sinead O’Connor, and the Cure. And tons of house music from the ’80s and ’90s—especially all of my cherished Madonna remixes. When writing Rachel, I listened to Patty Griffin, and only Patty Griffin. Her music devastates me, and makes me write honestly and with grace. Laverna, on the other hand, had a playlist full of Don Williams, Dolly Parton, Loretta Lynn, the Judds, and Miranda Lambert. It was totally the jukebox at the Dirty Shame! Who are your biggest literary influences? What inspires you to write? Anne Tyler, without a doubt. She can do no wrong. Dinner at the Homesick Restaurant is a book I reread every year. Geek Love, by Katherine Dunn, is probably my favorite book of all time—I read it at a very young age, and learned that there are no boundaries in fiction. That book is FEARLESS, and should be canonized. I’m also obsessed with Ann Patchett, John Irving, Richard Russo, Barbara Kingsolver, John Updike, Kate Atkinson, Truman Capote, and Jackie Collins, of course. Who would you cast in the movie version of The Flood Girls? Jake would have to be an unknown—I know there is a fabulous kid on Youtube somewhere that would be perfect for the part. I always imagined Jennifer Lawrence as Rachel—she just has this strength and quiet sadness that I am drawn to. Laverna is hard to cast; there are so many actresses that I admire for their ferocity—Alison Janney, Vera Farmiga, Tilda Swinton, Julianne Moore. Although she seems an odd choice, Reese Witherspoon would be perfect for Laverna—the character is an adult version of Tracy Flick from Election. Hopefully, more Flood Girls novels! Currently, I’m writing a horror novel, just because I wanted to write something completely different. I’d love to write a novel about NYC in 1990—I’m obsessed with the supermodels (Naomi, Linda, Christy, etc.) and the drag ballroom scene. Paris Is Burning meets Gia. It’s just an honor to be a writer, and it is truly a pleasure to entertain people. I’m looking forward to the future!